X-HUB TOKYO, the overseas expansion support platform for Tokyo startups, has recently hosted the “X-HUB TOKYO DEMO DAY~LEAP into the WORLD~” event, which brought together entrepreneurs and supporters wanting to challenge themselves on the global stage. 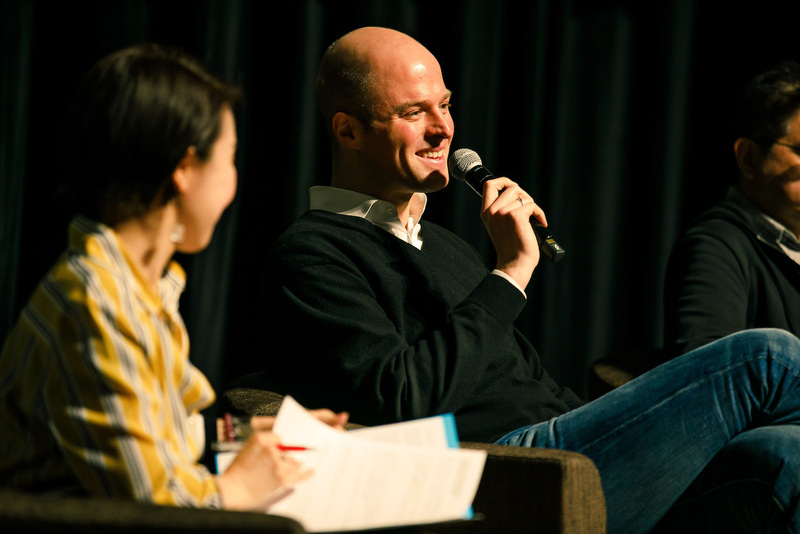 Demo Day featured a panel discussion about the “ways for Japanese startups to succeed around the world” between Rouven Dresselhaus, Jeffrey Paine, and Steve Goldberg. 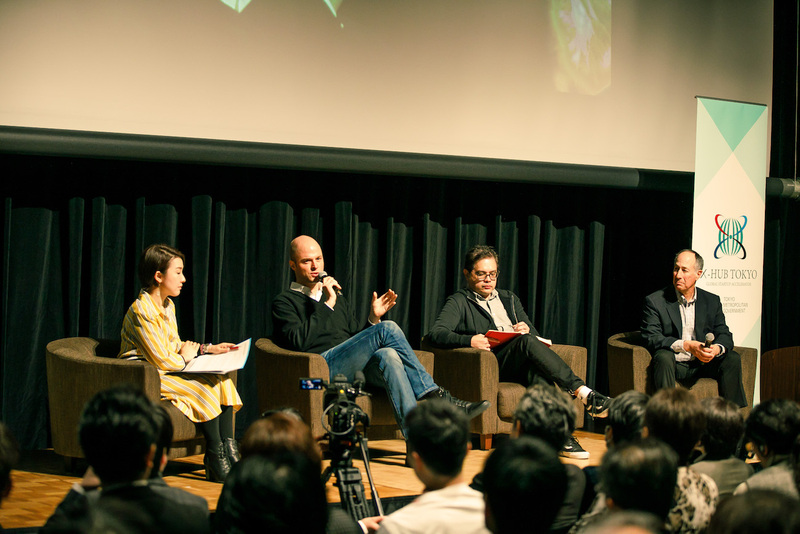 The discussion was moderated by Yuka Tanimoto, the deputy chief editor of Forbes JAPAN. Yuka Tanimoto (hereinafter “Tanimoto”): Today, I’d like to ask you about how Japanese startups should fight around the world, what is necessary for them to have a larger impact in and outside Japan, and what is the current state of global startup ecosystems. But first, please introduce yourselves to the audience. Rouven Dresselhaus (hereinafter “Rouven”): I’m Rouven Dresselhaus, the co-founder and managing partner of Cavalry Ventures. Cavalry Ventures is an entrepreneur driven VC fund based in Berlin with focus on angel, and seed-stage investments in Europe. We are six founding Partners who have repeatedly financed, founded, built and sold market-leading companies such as Delivery Hero, Tradeshift or plista. Being both, experienced investors and still active entrepreneurs, the Cavalry offers hands-on support and a strong value-add to ambitious founders of fast-growing technology companies. Privately I invested in more than 35 startups worldwide, such as Simplesurance, Tradeshift and Vice Golf. Jeffrey Paine (hereinafter “Jeffrey”): I’m Jeffrey Paine from Golden Gate Ventures. I’m from Singapore. I’ve invested into over 35 startups so far as a venture capitalist. Steve Goldberg (hereinafter “Steve”): I’m Steve Goldberg from Venrock. Venrock is one of the oldest VC firms in the world, having been founded more than 50 years ago. 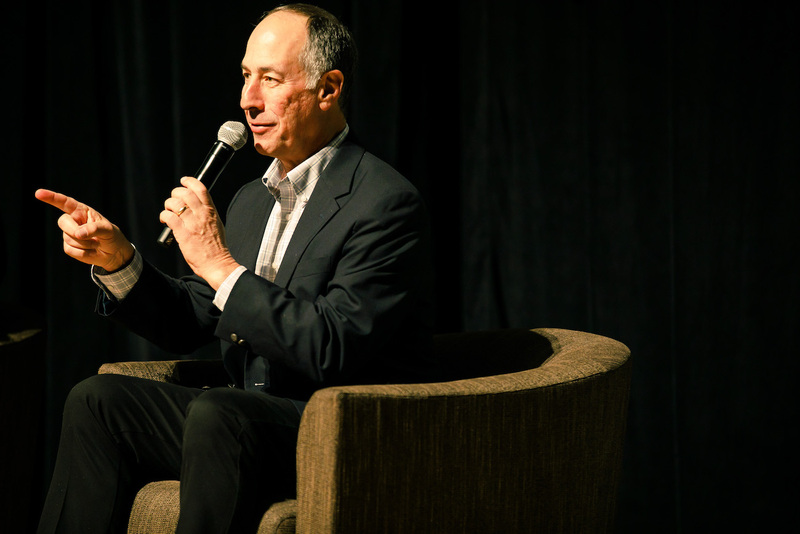 I’ve done a lot of different things for the past 20 years: I’ve been involved with Venrock as an operating partner and investor, I’ve been a CEO of various companies, and I’ve been a business and technical consultant for a number of young tech companies. Tanimoto: Thank you. I want to jump right into the topic but first I’d like to ask you to please tell us what are the characteristics of the startup ecosystems in your parts of the world. Rouven: So, first I’ll talk about Europe in general, and then about Germany. While the European tech scene is significantly younger than Silicon Valley. it is catching up quickly with improving access to capital, better capital efficiency, a talent pool that is equally large and educated but more international and mobile. Looking at recent data, the average return of European investments is advantageous compared to the Silicon Valley, and they have a human resource pool on par with or perhaps even bigger than the United States. The European market offers some advantages – let’s take the insurance market as an example: While the law in the U.S. differs in all of the 50 states, the European Union provides a harmonized legal environment for companies in that field, at least to a certain degree. This could be critical for companies starting businesses in this field. In Europe, there have only been two unicorns between 2000 and 2008 but that number went up to 31 companies in just eight years between 2010 and 2018. Also, there are about 6 million engineers in Europe compared to 4.5 million in the U.S. so their engineer pool is very large. Next, Germany. German start-up founders are internationally recognised for their execution focus and business KPI-driven mindset through past successes like Delivery Hero or Rocket Internet, this mentality has multiplied within the ecosystem, providing a deep pool of leadership talent and potential founders. Furthermore, many German entrepreneurs and startups are well known for their talents and ability to get things done. Many startups end up failing so in order to do something creative in that field, you need an environment where failure is accepted. For example, the people of Berlin have this mindset that allows them to accept their failures, and that kind of environment makes it easier to challenge yourself. In addition Berlin has a start-up friendly environment. The city is known for its relatively low cost of living, while providing a highly international set-up, top talent and legendary nightlife. Tanimoto: Thank you. Next, Jeffrey, please tell us about Singapore. Jeffrey: In Southeast Asia, which Singapore is a part of, there are 650 million people who speak 10 languages and hail from many different cultures. Indonesia is the largest Southeast Asian country with a population of 250 million. In about 10 years, Indonesia’s GDP will probably by the fifth largest in the world. Currently, Singapore is the hub of Southeast Asian economy where many people are starting businesses in order to make money. When compared to its neighbors, Singapore is a developing country, so it has a system of government subsidies for startups in place. But although it’s a small nation with a population of 5 million, it has a vast human resource pool and relaxed regulations that make it easy to create a startup there. Tanimoto: Thank you. Steve, what do you think the future has in store for Silicon Valley, the #1 place for startups in the world? Steve: I want to talk about the “Pros” and “Cons” of Silicon Valley. A Silicon Valley Pro is its “History.” Because so many people continue to found startups there, all that concentration of businesses creates a great startup ecosystem and with it the Silicon Valley that we know today. And I’m not just talking about venture capital firms. There are also many Silicon Valley law firms and consulting companies so even if your business doesn’t have, let’s say, a CFO, you can just pay a finance expert to join your board of directors and assess your financial situation. Because of all the history behind it, Silicon Valley’s ecosystem has all that a business will ever need. That is its biggest Pro. But it also has some Cons, like how it’s difficult to hire large numbers of people there. That’s because Silicon Valley is not a big place. Congestion and high prices of land and goods are a problem. New York and Seattle also have startup ecosystems but looking at the whole of the U.S. there are few other places whose ecosystems are as developed as Silicon Valley. A lot of them still need a lot of work. Tanimoto: Next, I would like to ask you about your outside perspective of Japanese startups. What are their strengths and what can we expect from them? Rouven: Japan is making a lot of advances in the field of IT, healthcare, robotics, and AI, plus they are also the world leader when it comes to blockchain technology. According to some Japanese financial services, cryptocurrency is so popular in Japan that it’s being traded by 3.5 million people a day. That’s why Japan definitely has all the elements necessary for it to succeed. 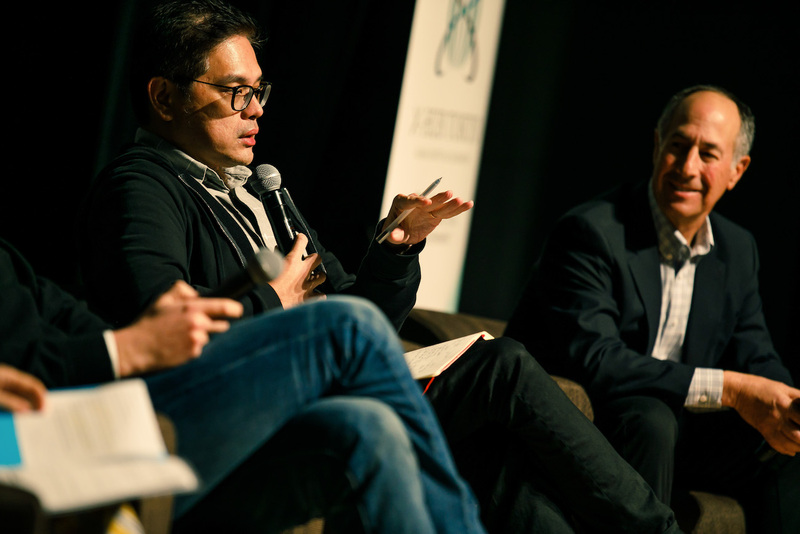 Jeffrey: I think that there isn’t enough knowledge of overseas markets among Japanese startups. There is a lot of knowledge about the domestic market but in order to grow, you need to have knowledge of markets outside of Japan. There’s also the problem of the country’s engineer shortage. Finally, there are too few Japanese entrepreneurs with the mindset to go out there and take risks. In other words, Japanese people need to be bolder. That’s why my advice is to “travel the world more and make friends.” Learning English is important but it’s more important to make friends with people from all over the world. Traveling can give you a new perspective and a chance to look within yourself. Also, Japan has a very insular culture which means it has very unique problems. Company founders and entrepreneurs face some kind of problem every single day and so they need an environment where they can share and discuss their issues. Tanimoto: In Japan, there are too many people who think “I don’t want to fail” while working on a startup and it’s definitely a problem, but what specific things do you think entrepreneurs can do to not fail? Rouven: We are entrepreneurs so we always have to think positively about how to “win in the end.” However, 9 out of 10 entrepreneurs fail. That’s a fact. We should acknowledge that. However, one failure that we commonly see is that entrepreneurs do not achieve product-market-fit. You have to answer the question: “Is my product or service suitable to the market?” A good entrepreneur would never spend a long time developing a product or service in order to bring it to the market and suddenly realize that it “won’t sell.” What we would much rather advice to do is to iterate quickly, test a product that is viable with your target audience early on to end up with a product or service that is particularly tailored to your audience. Then, you’ll find product-market-fit. Another important point is your “team structure.” A good team can make a bad company succeed but a bad team can destroy a good company. What is your company’s vision and what is everyone’s role? You need to understand those things so you can create a corporate culture where people can clash with each other. And when that happens, don’t have your team be more polite to each other than is necessary. Have them talk to each other directly and fight things out. When I think of a good company, I think of one with a team where people constantly clash with each other. Steve: In the U.S., you wouldn’t give or take a new job without getting references from the other party. It is, however quite common that once you become an entrepreneur, you suddenly only care about securing funds and you’re ready to accept capital from anyone without thinking. I’ve seen this happen to a lot of failed entrepreneurs. You have to be diligent about your investors. Ask them things like “what companies have you invested in before” or “what boards have you been a member of” or the names of the people they’ve worked with before. Then ask those people about your potential investor. You should never accept people’s money blindly without checking references. That’s a huge mistake. Even if you find good investors, there is still more you need to know. A good investor will be honest and straightforward with you about their accomplishments and the kind of people they’ve worked with in the past. If what they tell you worries you, then no matter how much you need the money, you should refuse them. Please don’t be impulsive and don’t risk it all for a short-term gain.